The 12-E is an American-made work horse meant for one thing - joining tough materials. Built to our strict manufacturing standards using robust parts and heavy-duty steel, the 12-E is designed to handle difficult to sew materials and heavy workloads. 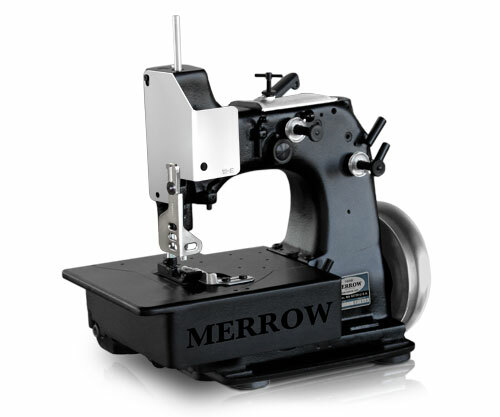 The 12-E is an extra-high lift, single needle, single row sewing machine that joins tough material. It sews a 5/8" butted-seam at 1600 rpm. The 12-E produces the wide, flat butted seam favored when joining material. It sews a 5/8" butted-seam that is nearly as flat as the material itself, ensuring that subsequent processing equipment will not be affected as with other bulkier stitches. The 12-E is constructed of robust parts and is built to Merrow's rigid quality standards. The long arm design and high looper/needle throw provide the clearance required when seaming rigid materials, while the 6" hand wheel and plain feed 1/4" looper gauge provide the torque and strength necessary to penetrate thick material. The 12-E is used in typical textile joining applications and will join everything from carpet to leather. It is adept at seaming tough composites like kevlar, heavy duty carbon fiber, and fiberglass, and is the machine of choice for joining turf and other geotextiles. 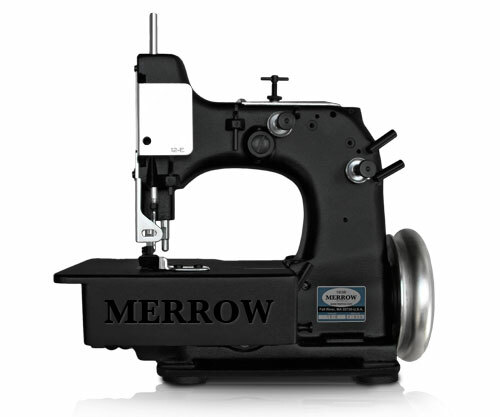 Since 2006 Merrow Machines are engineered and built in Fall River, MA. We will build out a custom machine, at no charge, and sew your material off on the 12-E (or other machine if appropriate). If you would like a video of the process we will provide this along with the sewn sample.